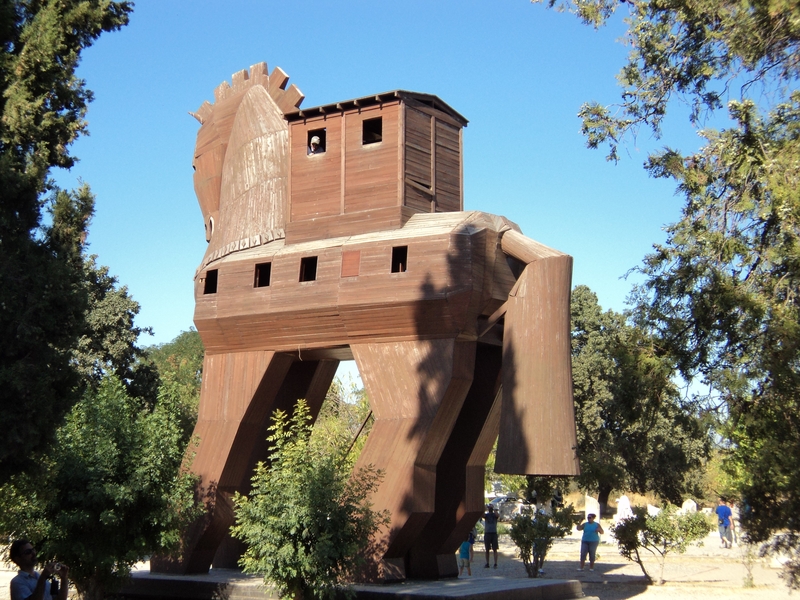 The Wooden Horse of Troy is the stuff of legends. 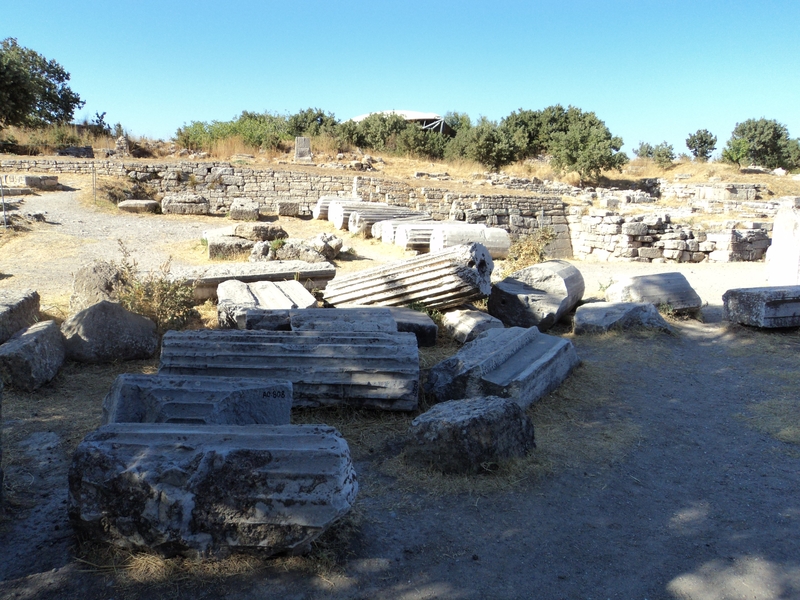 The archaeological site of Troy or Truva is located along the Dardenelles in Turkey. Whilst the site is a little distance from the sea this is only because the land has become silted and the ancient site now lies inland rather than right on the coast. Some visitors to Troy are disappointed with the site and claim that much is left to the imagination rather than being able to see magnificent old buildings they are only able to see at best the foundations and some remaining walls of this once proud and famous city. Excavations of Troy have not been kind to what remains. In 1865 an English archaeologist by the name of Frank Calvert commenced excavation on fields he had purchased from a local farmer. In 1868 he was joined by Heinrich Schliemann who many claim dug too deep and decimated the structure of this important city. Nevertheless, there is still much to see and you can certainly get an idea as to the size and scale of the city by visiting the ruins at Troy. The Trojan Wars of the 12th, 13th or 14th centuries have been well documented by Homer’s Iliad. 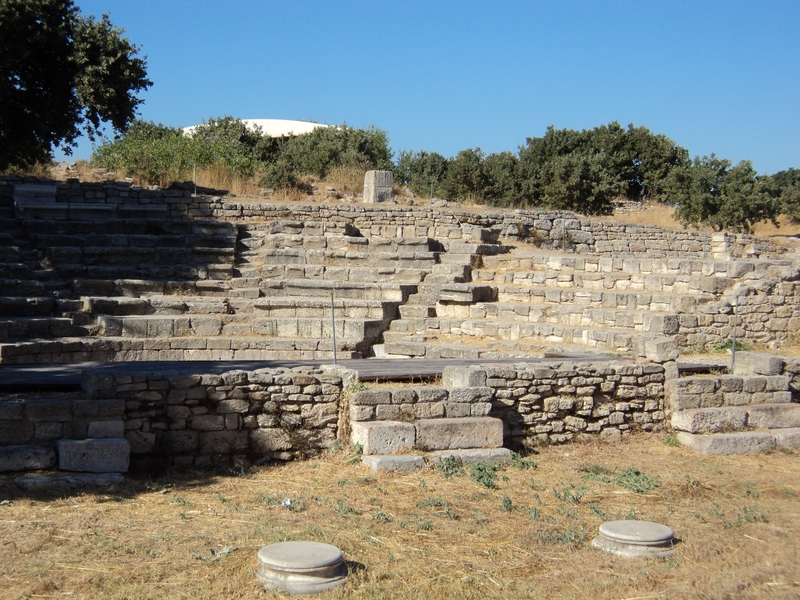 Troia ( Troy ) is so important that it was added to the UNESCO World Heritage list in 1998.